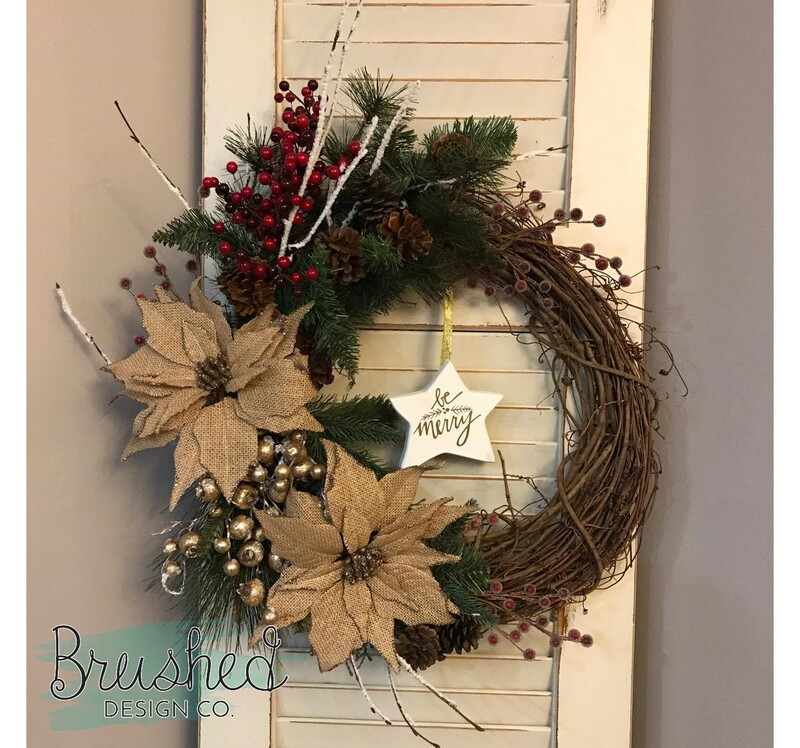 Girl's Night Out Project Ideas: DIY Wreaths - Brushed Design Co. I LOVE getting together with my friends for a Girl’s Night Out. Now more often than not our “night out” is at one our homes or not even at night, but that’s besides the point. Spending time together is always a blast regardless of where we are at or what we are doing. However, we are always looking for new things to do together. 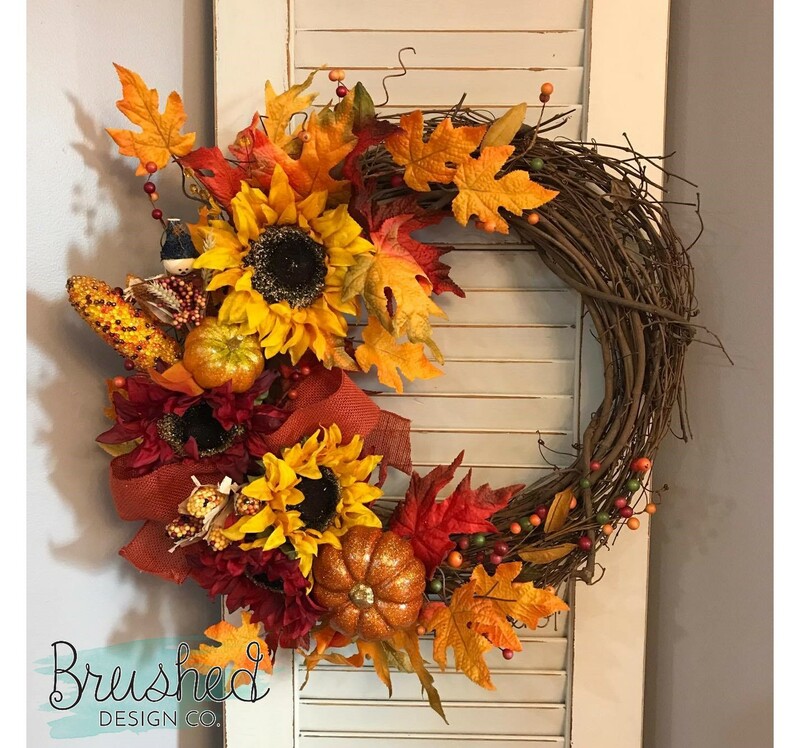 This will be the first in a series of “Girl’s Night Out” ideas and we are starting out with one of my FAVORITE seasonal crafts: DIY wreaths! 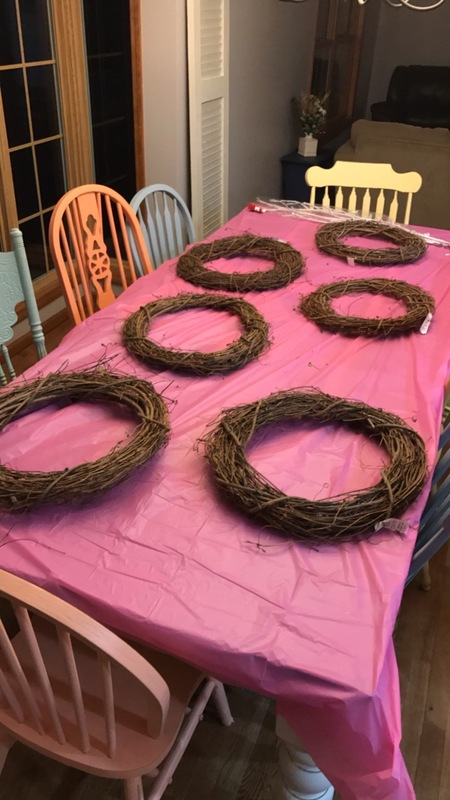 When making wreaths, I prefer to use grapevine wreaths. 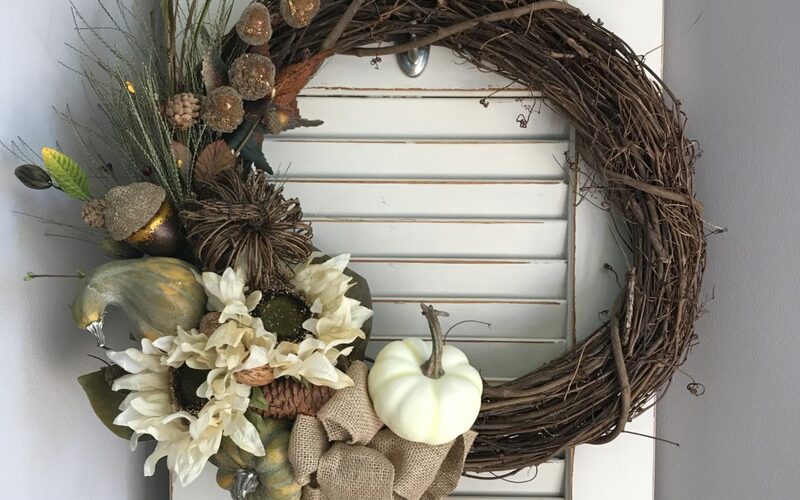 They are inexpensive and work great when attaching decor to your wreath. I purchased these at Hobby Lobby for $4.99 each. You’ll want to make sure you have both hot glue and floral wire. Most things will be able to be attached with hot glue but heavier things will have to be wired in to remain stable. 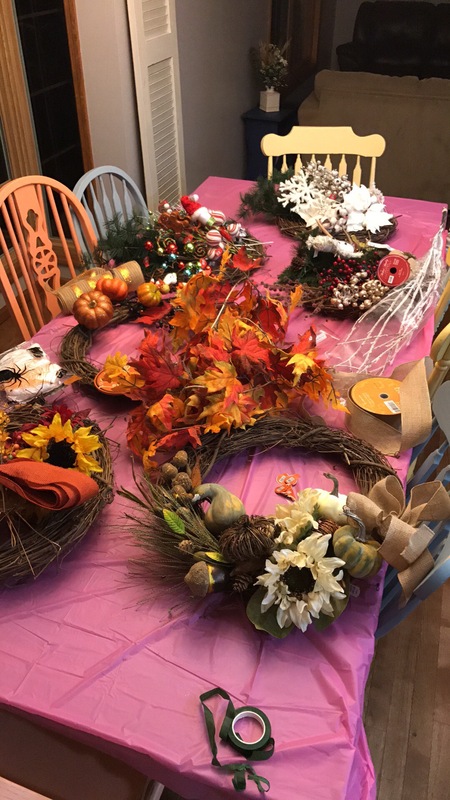 Grapevine wreaths tend to be a little messy so save yourself some cleaning time and slap a plastic table cloth on your table before you begin. 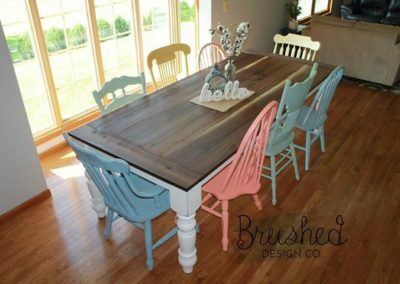 Then when you are finished, you can wrap up all the leftover mess and toss it right with your table cloth! Hobby Lobby is my favorite place to find wreath decor. 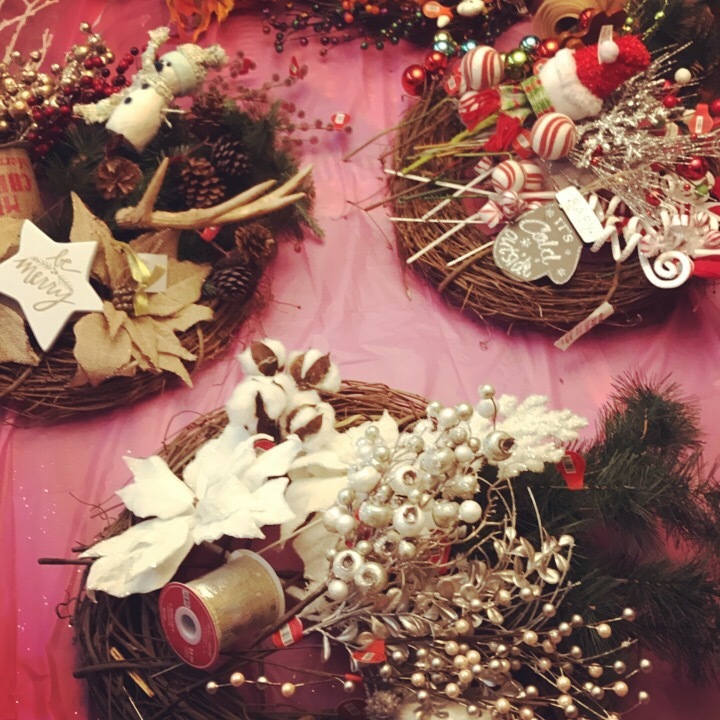 Their selection of ribbon, picks, faux florals, and other wreath decor is amazing. Be sure to watch their ads and go on a day when the seasonal decor is on sale. This happens several times a season and is typically at least 40% off! There are a few different ways you can do this for a Girl’s Night Out. 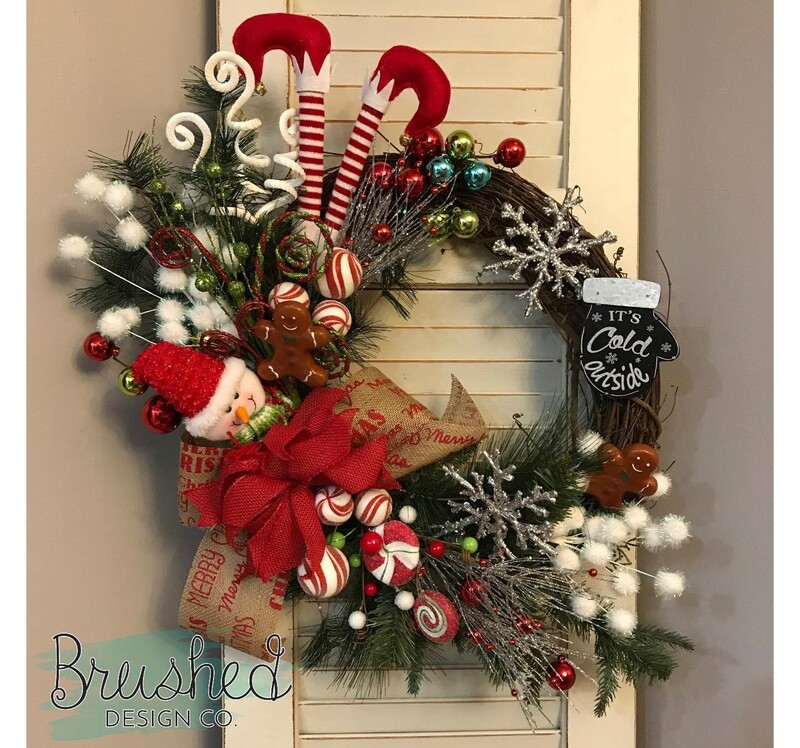 You can all do the same wreath and buy enough of the same decor for each person. 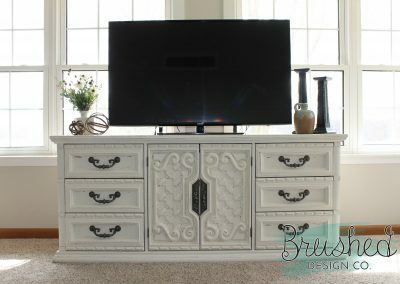 Or you could just go crazy like I generally do on a Hobby Lobby excursion and buy a ton of decor items and have everyone pick from the pile. Both are good options and both will keep you in the store for at least an hour. If you can get in and out of Hobby Lobby in under an hour please send me a message and teach me your ways. I thought bringing my kids with me would make me move faster throughout the store. Unless you count chasing my son as he took the cart on a joyride straight towards a large glass display because I’m fairly certain I reached Olympic sprint speed on that little adventure. 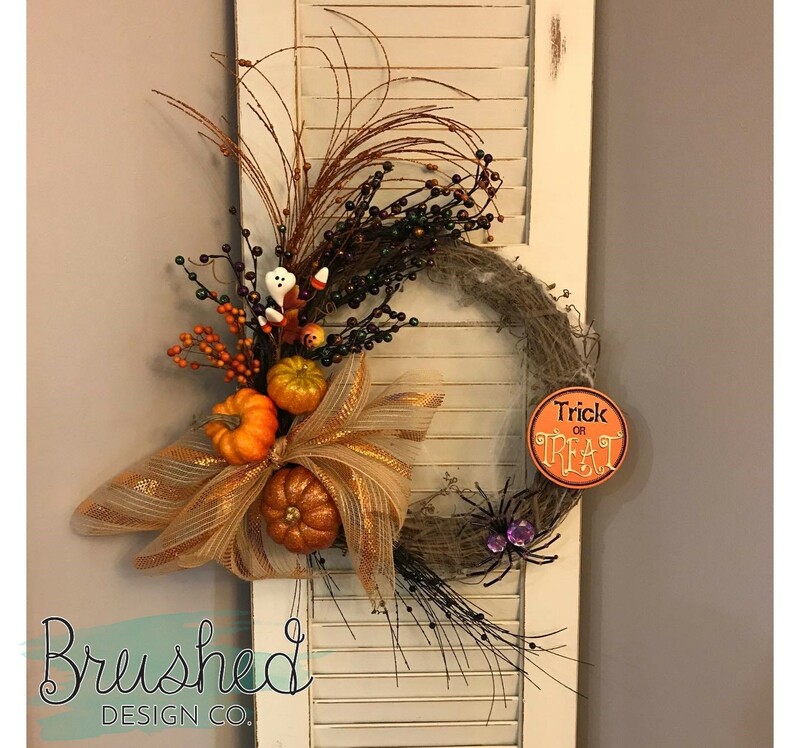 There are so many fun ideas for seasonal wreaths. 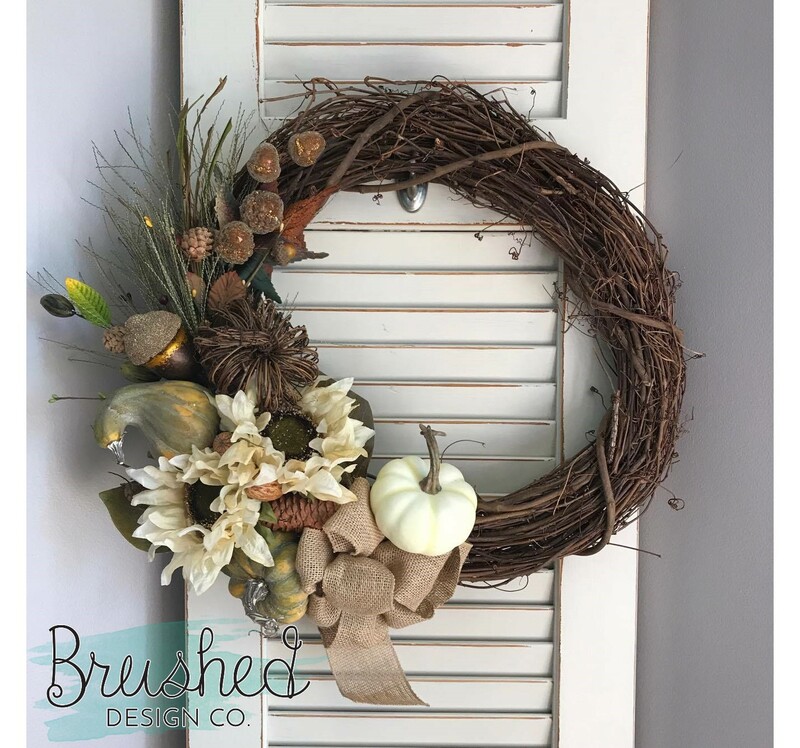 Fall and Winter are my favorites but you can create a wreath for any holiday or season. 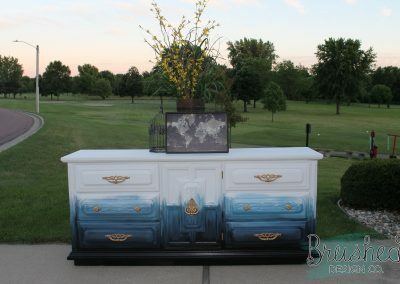 I’ve included a few ideas for you for designs and I’d love to see what you create at your own Girls Night Out! 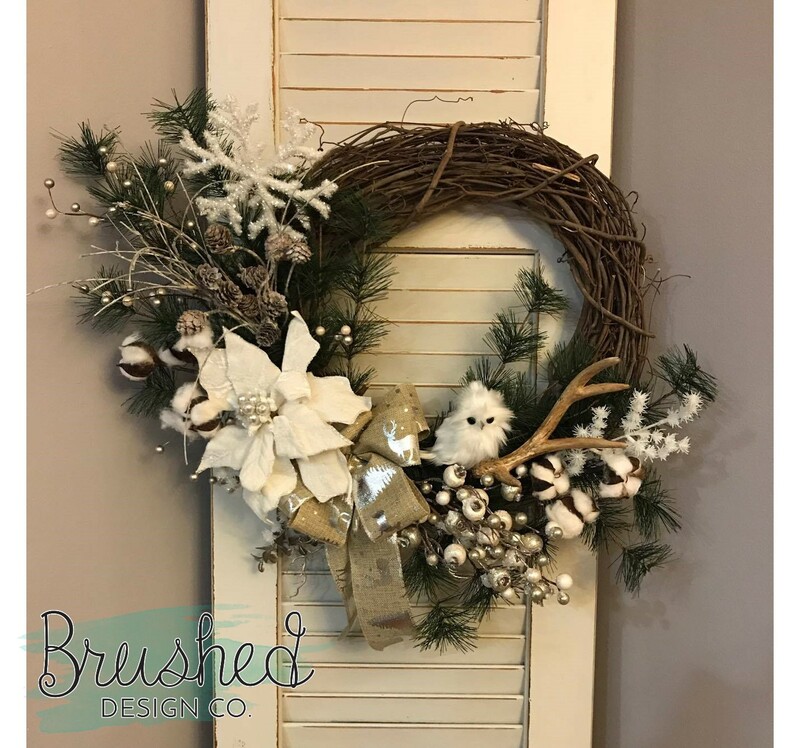 Be sure to tag Brushed Design Co. on Facebook and Instagram when sharing your wreaths! Have fun and happy crafting!